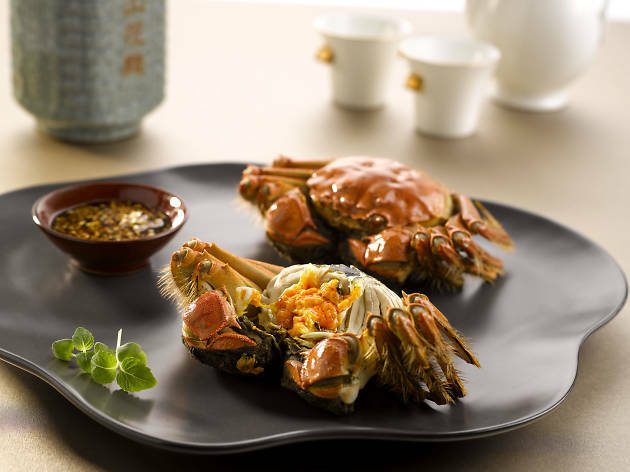 Yan Ting at The St Regis Singapore puts on a two-month feast of hairy crabs. Executive chinese chef Tony Wun Shun Kong works the meat into a la carte dishes like braised bird's nest ($88), double-boiled meat balls ($28), and even stuffs it in chicken wings ($28). 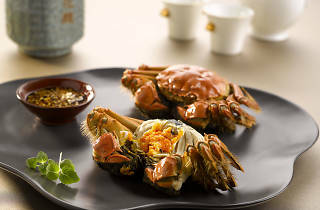 Two set menus, the Hairy Crab Exclusive ($148/person, minimum of two to dine), and Hairy Crab Luxury ($180/person, minimum of two to dine) also feature the steamed crustacean and some of chef Wun's unique creations as part of the eight-course meals.